Think of the kitchen as the heart and soul of your house or apartment. Indeed, it plays a major role in our lives as the place where we refuel our body and spirit. Take a look around your cook-room. Does it feel friendly and inviting? 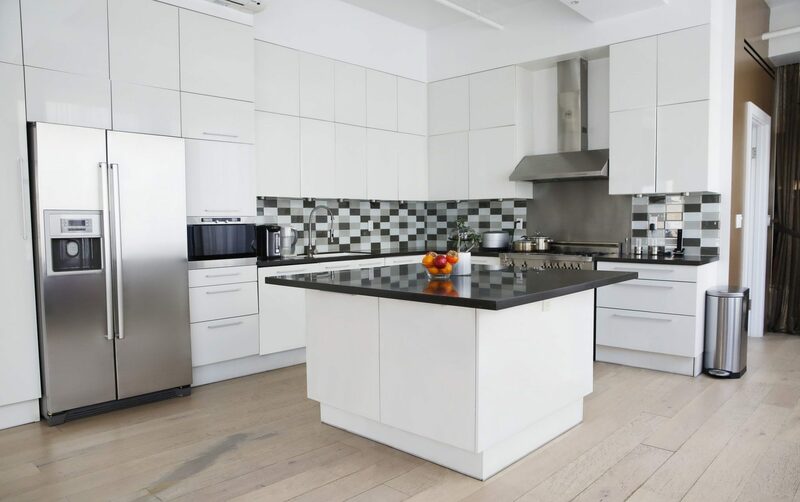 Because if not, it’s time you feng shui-ed your kitchen space real good making it warmer and more welcoming. Once it’s done, you’d want to spend more time in it cooking healthy and delish meals for you and your loved ones. These tips are inspired by feng shui philosophy where kitchen is seen as a vital element of a household. There it is a symbol of health, well-being and prosperity. And it is believed that every color, every item and every shape matter when it comes to a cozy and homey ambient. Not all original feng shui rules apply today, of course. Take, for instance, open fires that were strategically important in ancient Chinese cook-rooms. It would be odd and unsafe, at the very least, to keep an open fire pit in the apartment, for instance. But still, many feng shui principles stood the test of time and can easily become part of a modern home today. And hopefully, these ideas will help you expand the potential of your kitchen, thus creating a more healthful environment. 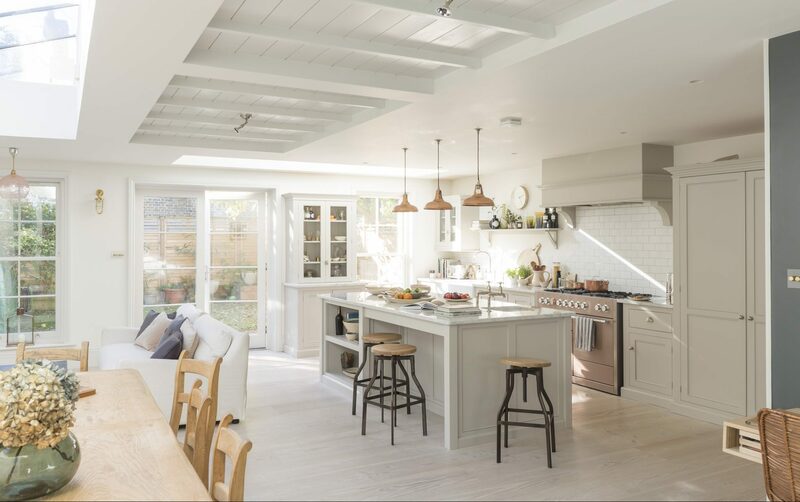 Lighting is the key to a warm and cheerful kitchen. It’s such a great feeling to step into a sun-lit space every morning. And there’s a scientific reason for it: exposure to sunlight stimulates the production of serotonin and melatonin – major mood boosters. But if you didn’t luck out to have abundant natural light, don’t get immediately upset. 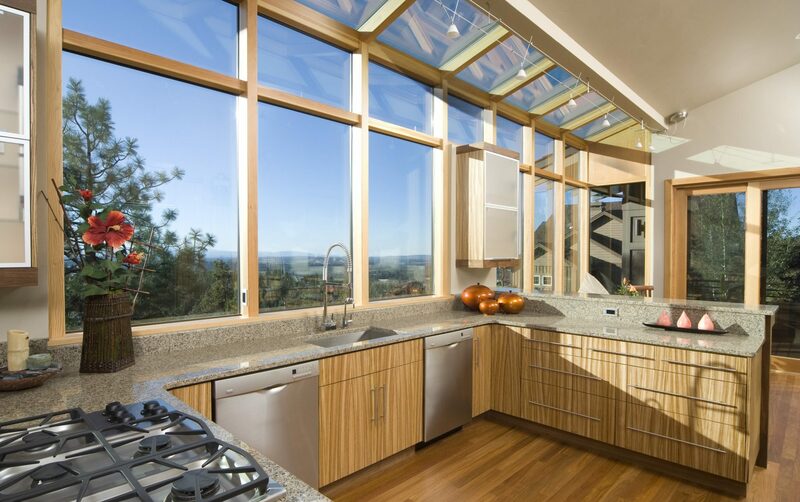 You can compensate for it by installing a skylight or by using light colors and adding more artificial light. A cluttered home in general adds to a chaotic mindset. 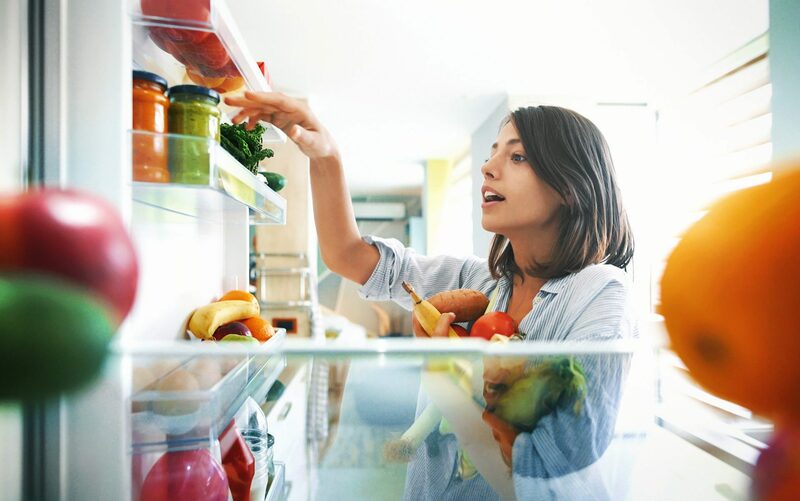 By cleaning out your space you make it more attractive both for cooking and food intake. Did you know that there are only about 15 tools that you actually need to make meals that are healthy and delicious? This includes cutting boards, pans, a pair of scissors, cookbooks, jars of herbs and spices and so on. Clear all the things you know you’ll never use, or don’t really like, or some stuff that is no longer fit for use. You should have plenty of clear space to move around. If it’s possible, try to move your furniture around, remove or replace big items with their smaller and more compact alternatives. Don’t use your stove or your fridge tops as storage. Counters should remain clear, too. Keep the area airy and well-ventilated. 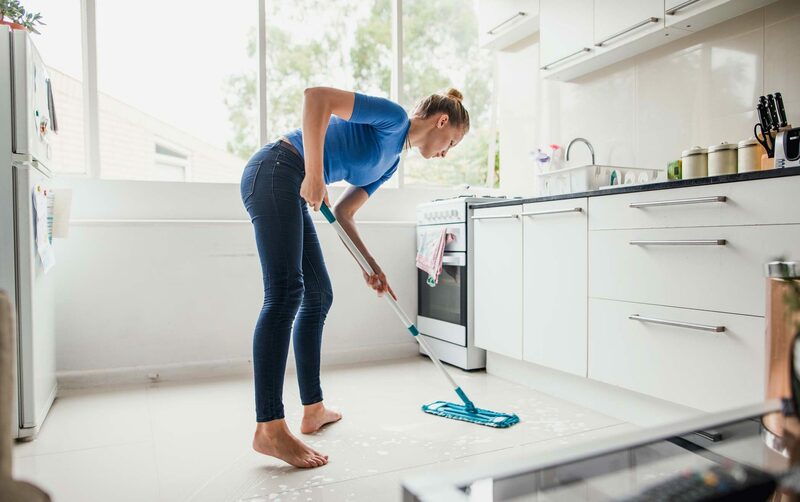 Regularly clean your cupboards and drawers, wash the walls, wipe all your appliances and mop the tiles. Also, don’t forget to dust the top of the fridge and cupboards – spots that often get neglected. 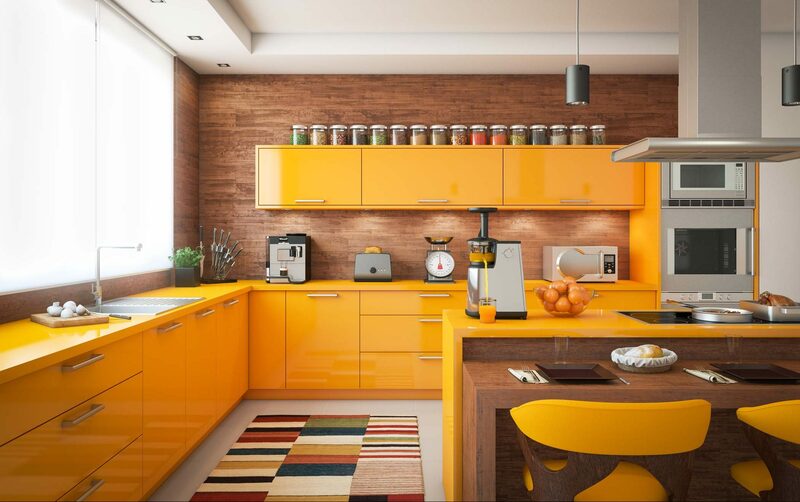 According to the feng shui philosophy, there are items that are more or less suitable for your kitchen. Add: pots, pottery, wooden items, herbs, plants, fruit bowls, flowers, a string of chilly peppers, images of nature and other pieces of art. Avoid: mirrors, TV set, beams above your cooking area, disturbing images. It also means getting rid of clutter and chaos inside your fridge. Take some time to clean out expired products or things that won’t be eaten. One-shelf-at-a-time empty it of old items, like of that jar of pickles or olives that you’ve once started but are unlikely to finish. Now clean each shelf with a soapy water and it’s done. Get used to a well-organized fridge and make a rule of it. Northeast: eggshell yellow, sandy, beige, red, orange, purple, bright yellow, pink. You can also add splashes of your other favorite colors through décor and various art items, like pictures of nature or else, wooden items and pottery. Natural elements have a unique energy that can liven up any space. 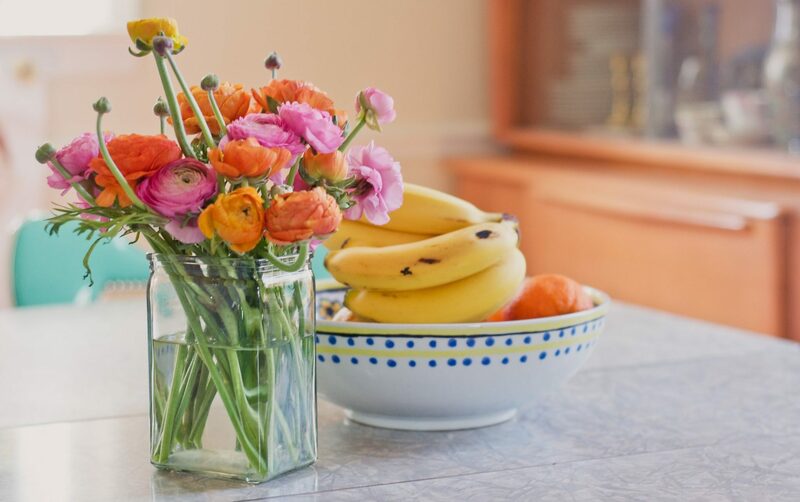 You can put a fruit bowl filled with apples or tomatoes on the table or revive the place with houseplants or fresh flowers. Step into the kitchen with a feeling of gratitude every morning. Feeling of thankfulness for everything we have brings along presence. We become more connected to our food and the ways it impacts every single process in our body. Let this list be your short Feng Shui Kitchen Rules guidebook. 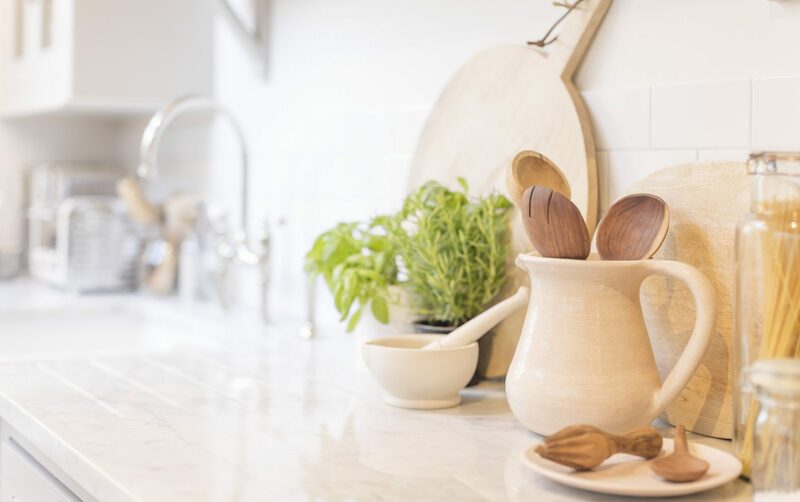 These are just the main ideas that can help you re-discover the importance of the kitchen space and the role of light, space and positive thinking in it.